From all of us at LC Foods, we are wishing you and your loved ones a healthy and happy 2015! And of course we are here to HELP with encouragement for your resolutions! 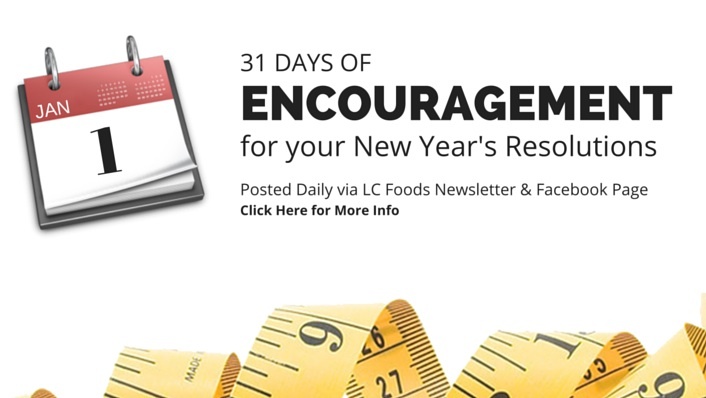 Keep Your Resolutions this New Year’s with Daily Encouragement from LC Foods! Our goal is to SERVE you and not annoy you! We will send an email each day for January only, returning to our regular scheduled newsletters in February. 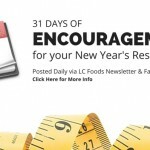 Our hope is that these daily emails help you and encourage you to stick with your low carb resolutions in January and beyond!